The Zip is a really simple tracker, which is both its main selling point and for some people its main disadvantage. It’s easy, fuss free tracking. It’s small, you can clip it on and forget about it, and the replaceable watch-style battery last for ages (about six months). The display works by simply tapping it, and it scrolls through the clock and the different metrics on the screen. It’s brilliant for someone who just wants to track their steps and not get too involved in the whole thing. But it essentially only tracks steps. It does distance, but this is calculated from your steps and height, so it’s kind of the same data in a different form. You also get calories burnt, based on your weight and the number of steps you’ve done. One feature I really like on the Zip is the little emoji which lives on the screen. It sticks its tongue out at you if you’re being lazy, and becomes happier the more active you are. It’s just a bit of fun, but it’s a nice touch – this is all about making fitness fun, after all. 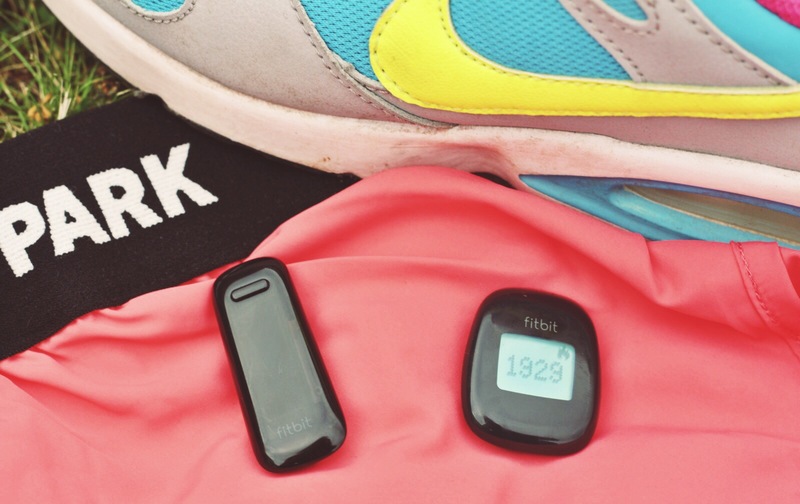 The One is the next step up in Fitbit’s range, and it tracks a fair bit more. It does altitude, so it will tell you how many flights of stairs you’ve climbed. It also tracks sleep. While there’s a lot of debate around how accurate this is, I think it’s useful to at least get you to monitor what time you go to bed and what time you wake up. It’s easy to think you’re going to bed a lot earlier than you are! The One also has a vibrate function which lets you set as many silent alarms as you like. You can have them daily or just on certain days of the week, which is useful. The One is still really simple to use, with a button which scrolls through the display. Its main downside compared to the Zip is the battery. Rather than being able to forget about the battery for six months, you’ll need to recharge your One around once a week. It only takes about an hour so isn’t too onerous, but could be a pain if you’re prone to forgetting. I really like both of these trackers. They both benefit from the easy to use app which lets you see your stats, challenge your friends and earn badges. The Fitbit Zip is a great little device if you just want to move around a bit more without any hassle of battery charging – and you can get them for a great price now. That said, I’d have to go for the One to get that little bit of extra data.